Sometimes it seems like Americans will go to any extreme to avoid having to get serious about adopting sensible transportation practices that are common in other parts of the world, such as well-funded, efficient urban transit and high-speed rail. One of the most laughable examples of this line of thinking is the Hyperloop, Tesla founder Elon Musk’s scheme to shoot people through airtight tubes in special pods traveling up to 760 mph, as if we were letters in pneumatic mail tubes. In a Hunger Games-like scenario, the 11 American teams will compete with two dozen other groups around the world, which will eventually be winnowed down to three finalists who will be tasked with financing and developing the system. Hyperloop One projects that the theoretical transportation network will be ready to roll (squirt?) by 2022. 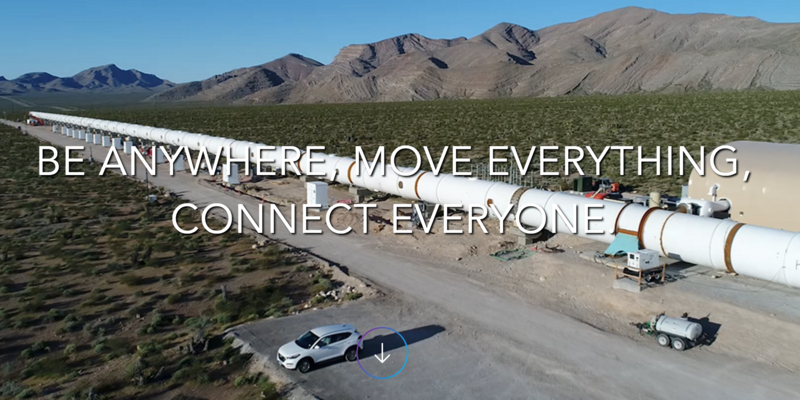 Last week Hyperloop One finished installing a 1,640-foot test tube outside of Las Vegas. There’s just one problem. Other than that 500-meter tube in the desert, the Hyperloop concept is essentially fairy dust. As detailed by Streetsblog USA this morning, there are no real-world, functional examples of a Hyperloop, so anyone who’s taking the project seriously is essential making a leap of faith. The startup hasn’t even built a pod to go with that pipe, let alone tried a test run with human passengers. MORPC will work with partners across the Midwest region to identify and engage private sector partners in an effort to attract investment in both the study and development of a Hyperloop corridor. As Streetsblog USA noted, Musk’s white paper for a Hyperloop route from Los Angeles to San Francisco was roundly debunked by mathematics and transit expert Alon Levy. He found that that the entrepreneur stated the engineering and land acquisition costs for the project at a tenth of what they would likely cost. So I wouldn’t plan on making a sub-hour run to Iron City for a Primanti Brothers sandwich anytime soon. You can’t invent new things unless you try. I like Musk’s approach to act now and figure out what works and what doesn’t. I don’t think we are close to having a successful Hyperloop but no one ever got anything done by sitting on their hands. It’s great that he has the money to approach things like this because it’s not cheap. The preferred order would be to invent the thing, then hit planning organizations up for time and money to figure out where it goes. Right now, he might as well be asking planners to figure out where to put the teleportation pads. Elon Musk is a techno-utopian plutocrat. Everything he does is for the rich despite the fact that it’s full of ‘trickle down’ ideology. We will all subsidize the construction of this (should it happen) yet only the wealthy will be able to afford to use it. About parking first. While the parking varlets are busy stuffing too many cars into the office parking lot, the factory parking should get saner now that BART’s Warm Spring Station is open, within decent walking distance. I am not a Musk afficionado. That said, I encourage the idea of thinking up new possibilities. I fully suspect that cities will take another bad idea — autonomous cars — and start modifying street infrastructure to accomodate them through some kind of subsidies masked as “benefits” — expensive stoplights, or “autonomous car lanes” on highways. It’s better than doing nothing. No, it’s really not. Since this draws time, resources, and political will from projects based on actual, proven, real-world technology, it works out to be the same as doing nothing, only more expensive. If the only argument for a thing is that “it’s better than doing nothing,” then the thing isn’t worth doing. Elon Musk is all hype. His phony baloney Telsa venture is all perceived value. Hyperloop and Space X are essentially fantasy projects. “It’s better than doing nothing” isn’t the only argument. Musk is creating conversation and talk about an alternative mode of transportation. He may not be capable in designing something like this, but he’s obviously generating interest from different industries and parties who would be more suitable in possibly making this a reality. If they want to use their own money and resources to investigate this then go for it, it’s their money and time. No one is forcing them to participate. And if you’re so concerned about resources being wasted into this hyperloop idea then maybe you shouldn’t be wasting your own time arguing with somebody on a discussion board. I really don’t care if a hyperloop is ever designed or not but even if it isn’t, there could be a chance that certain ideas and concepts that were developed in the process of attempting to design the hyperloop that could change the landscape of transportation in the future. At the very least it’s a constructive idea that is looking to improve an everyday task and if private investors want to throw their money at it so be it. It’s better than wasting it on another yacht or just doing nothing with it. Wasting private money on Hyperloop isn’t a big problem. Wasting public urban planning resources on Hyperloop, as MORPC is doing, is a problem. If this was nothing but folks arguing on the internet while rich people figure out how to blow the yacht budget, I’d be fine with it, but you can see in the very article you’re commenting on that that’s not what’s happening. The MORPC is an association of governmental entities, using taxpayer money to play out the Muskovite fantasy in a state where actual urban planners are usually handed crumbs. That’s the problem. Resources–actual resources, not just internet talk–are very limited in the real world of transportation, and the Muskovites are draining it from real projects for something that is, literally, a pipe dream. A fellow I know calls this ABR syndrome–Anything But Rail. It’s not limited to modern rail or transit systems. You have groups in various parts of the country that want to take out operating railroads to install bike trails. I don’t see why people claim this is a new idea. It’s been around for decades. From Ohio: Should IDOT Collaborate on the Cleveland-Chicago Hyperloop Project? Cleveland inked a $1.2M deal to study the route, but the technology doesn't exist yet. Airport transit for elites is already a questionable idea. Involving Musk and his pipe dream of digging a new tunnel to the airport for 125 mph travel would make it worse. The Hyperloop has never carried human passengers. Yet Ohio officials signed off on a grant based on the promise of Cleveland-Chicago route in just three to five years.